Diane has been in the gastrointestinal field for over 20 years. She has managed the Endoscopy Center ensuring the staff & facility are OSHA, State and Joint Commission compliant. Her professional interests are in Gastroenterology, and Gastrointestinal Endoscopy. 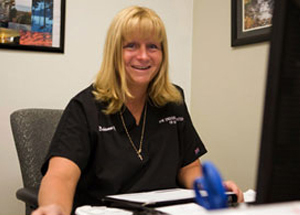 Diane is dedicated to ensure that all patients are treated with the utmost compassion and respect.